Two of my favorite artists of the 1980s are famous for being prodigious dope smokers. One of them died Saturday and the other is Tom Petty. 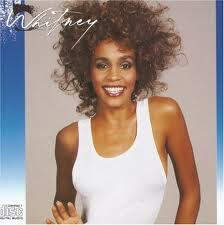 I didn’t realize how much I liked Whitney Houston until her death. I’m surprised how sad the news made me. Because for about five years from 1986-91, she was perfect. Her voice was breathtaking. She was beautiful. Today’s divas make surly seem like a job description. It wasn’t that way with Whitney. Carbonated beverages weren’t as bubbly. I never bought any of her albums or saw any of her movies, but I remember feeling a little jolt of euphoria every time I heard her sing and back then her songs were everywhere. I guess I sort of stopped caring when she married Bobby Brown and started making tabloid headlines for getting high. I thought, well, she’s finished. It seemed a sort of blasphemy to expose a voice like that to something like smoke. I was right. It just got more and more sordid and pathetic ending Saturday in a bathtub at the Beverly Hills Hilton -- and if I was a celebrity who was fond of drugs I’d never set foot in a bathtub. What is it about drugs that cause some artists to wither and others to thrive? Take Petty. When it comes to marijuana use and promotion, he’s right up there -- and I mean up there -- with Willie Nelson and Snoop Dogg. It’s a love song sung to a girl, but I’m confused about the real object of his lyrical affections. The program later shows Petty mourning the death of heroin-addict bandmate Howie Epstein, 47. It’s an interesting time for me to be opining on the drug use of others because my wife and I are hooked on crystal meth. We’re binging on “Breaking Bad,” the AMC show about the chemistry teacher (Bryan Cranston) who turns to crystal meth production after a terminal cancer diagnosis. We’re into the third season and I know when we catch up and have to go cold turkey we’ll suffer withdrawal until it airs again. It’s the best show we’ve ever seen and it’s left me scared straight. It’s all over the headlines, too. Drugs are destroying lives. Not everyone who smokes weed makes the narcotic jump to heroin or crystal meth, but the cops will tell you no one starts the latter without trying the former. • Drugs are very bad for some people. Whitney Houston said heavy marijuana use ruined her life. • Some very cool people really love weed and other drugs. • Writing about drugs is a lot more fun when you don’t have to think about dead celebrities and wasted lives. I suppose the same goes for doing them.